One thing that constantly frustrates me in OS X is the clipboard. Its absurd that you are limited to just one item to copy and paste at a time. You should be able to go back through your history of pasted text so that if you accidentally overwrite some copied text you can still access it. That's exactly what Jumpcut does in the easiest and most accessible way possible. Jumpcut remembers every little bit of text you copy or cut during a day giving you easy access to your clipboard's history via your Menu bar. 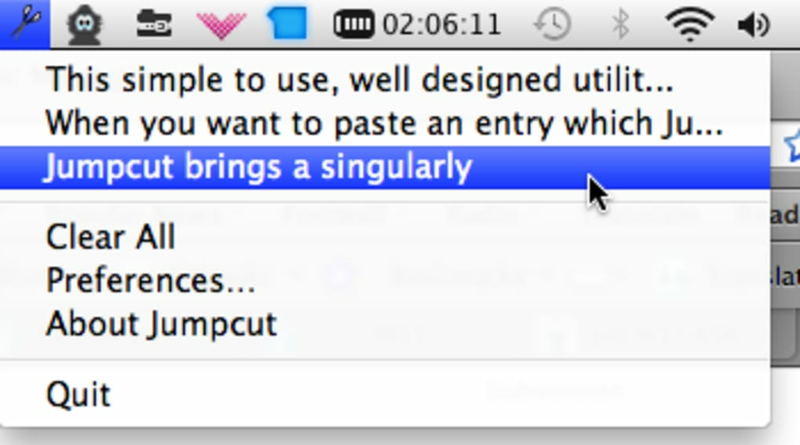 Whatever you copy, Jumpcut compiles line by line all of the text you've cut or copies during the day. If you need to paste the text, just select it and it pastes instantly. The app is represented by an easy-to-spot scissors icon in your Menu bar or you can configure a hotkey instead which is supposed to bring-up a bezel displaying a list of the most recent items you worked with. However, I couldn't work out how to record a hotkey. You're supposed to just click the hotkey symbol and record but recording wouldn't work for me. However, this takes little away from what is a simple and well designed utility that could prove essential for those who do a lot of cutting, copying and pasting all day. Jumpcut is an application that provides "clipboard buffering" — that is, access to text that you've cut or copied, even if you've subsequently cut or copied something else. The goal of Jumpcut's interface is to provide quick, natural, intuitive access to your clipboard's history. Choose a clipping from the Jumpcut menu. In any application into which you want to paste an item from Jumpcut's stack, press the hotkey to activate Jumpcut's bezel. (The default value for this hotkey is Control-Option-V.) A little window like the one you see when using the application switcher or the brightness controls will appear. While holding the modifier keys (for the default hotkey, this is the Control-Option combo), use the arrow keys to scroll through the stack. 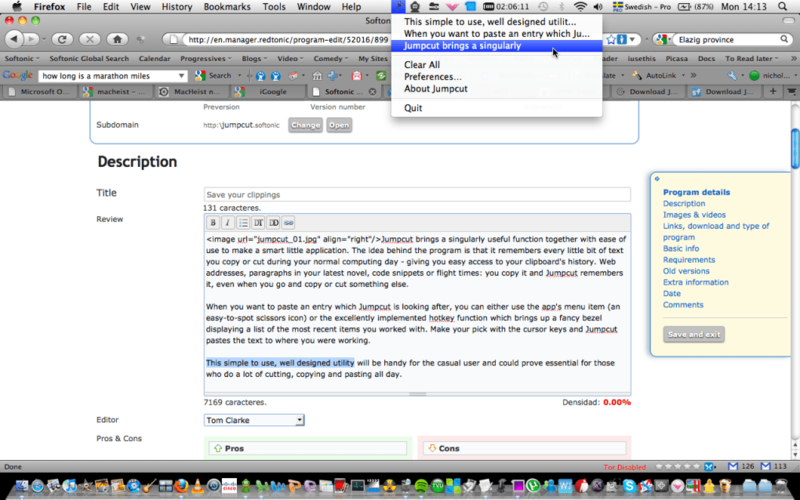 When you've selected a clipping, Jumpcut will put it on the pasteboard and attempt to paste it into your application. It does this by mimicking a user typing Command-V, so unusual applications which don't use this to indicate "Paste" will be confused. The clip will still be on the pasteboard, though, so you can paste it normally. If Command-V is used in a non-standard way in applications you are trying to paste to, a preference is available to disable the "paste" action for clippings selected from the menu bar. In this case, choose the clipping and paste however your application asks you to do it. System Preferences> Security + Privacy> Privacy Tab> Accessibility Option> Add Jumpcut to the List. System Preferences> Security + Privacy> Privacy Tab> Full Disk Access Option> Add Jumpcut to the List. System Preferences> Security + Privacy> Privacy Tab> Automation Option> Add Jumpcut to the List. Restart Jumpcut and hopefully it works for you like it did for me. for another few years of usage! 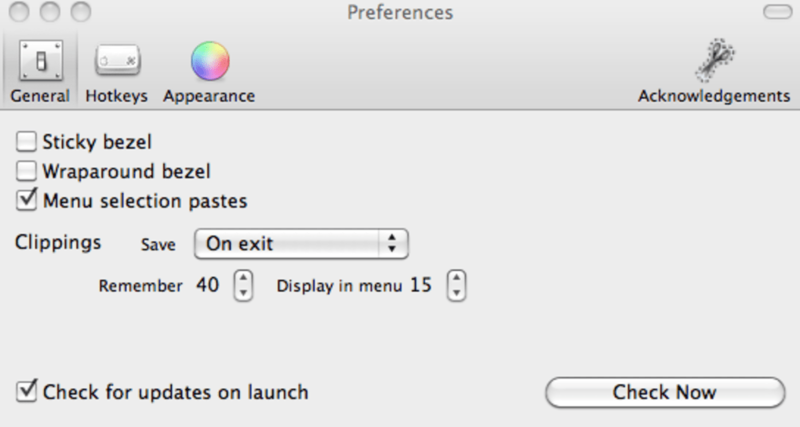 One of those basic apps that effortlessly and flawlessly provides functionality omitted from the MacOSX. Worked for years, now it does not. . It worked fine for years. Now that I'm using Vivaldi for a browser, nothing will paste into the browser. I'm afraid it's time to move on if I can't find tech support or some other answer. Have loved it for years and want it for my iPhone, can't find alternative.. Have loved it for years and want it for my iPhone. Can't find an alternative however for the iPhone. What do you think about Jumpcut? Do you recommend it? Why?